TORTOLA, British Virgin Islands , Oct. 31, 2018 /CNW/ - Sailfish Royalty Corp. (FISH.V) (the "Company" or "Sailfish") is pleased to announce that, at the annual and special meeting of shareholders of the Company held on October 30, 2018 (the "Meeting"), shareholders of Sailfish voted in favor of the restructuring of the Company's gold stream on the San Albino gold project (the "Stream Restructuring"). Shareholders also approved all of the other matters brought before the Meeting. The Stream Restructuring is a condition to the closing of the transaction in which Golden Reign Resources Ltd. ("Golden Reign") will acquire all of the issued and outstanding shares of Marlin Gold Mining Ltd. ("Marlin") in exchange for 0.5138 of a Golden Reign common share for each Marlin common share by way of a court-approved plan of arrangement. In addition, Marlin will distribute an aggregate of 18,148,654 Golden Reign Shares currently held by Marlin to shareholders of Marlin on the basis of 0.1022 of a Golden Reign Share for each Marlin Share , bringing the total of Golden Reign Share to be received by the shareholders of Marlin to 0.6160 of a Golden Reign Share for each Marlin Share held. Approval of the Stream Restructuring required approval by a simple majority of the votes cast by shareholders present in person or represented by proxy and entitled to vote at the Meeting, excluding the votes cast by such shareholders that are required to be excluded pursuant to Multilateral Instrument 61-101 – Protection of Minority Security Holders in Special Transactions ("MI 61-101"). At the Meeting, approximately 87.22% of the outstanding common shares of Marlin were present in person or represented by proxy. A total of 29,425,327 votes on the Stream Restructuring were excluded pursuant to the requirements of MI 61-101. Of the remaining 2,800,977 votes on the Stream Restructuring, 99.60% voted in favor of the resolution and 0.40% voted against the resolution. 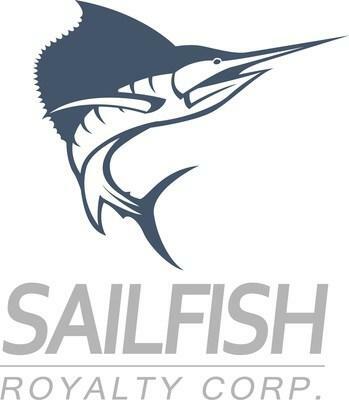 Further information about the Stream Restructuring is contained in the Company's information circular, which is available on Sailfish's SEDAR profile at www.sedar.com.